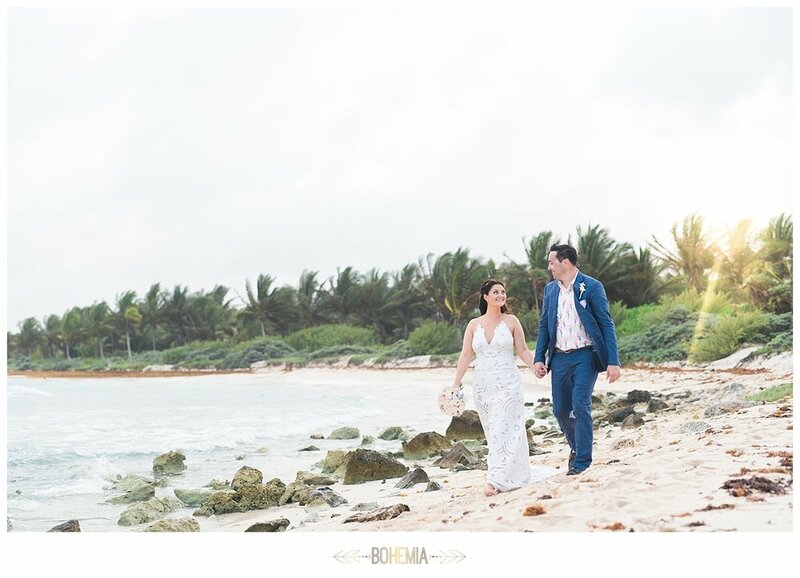 Amanda and Chris were married at the beautiful Dreams Resort in Tulum, Mexico on banks the turquoise Caribbean sea for their destination wedding far from home. 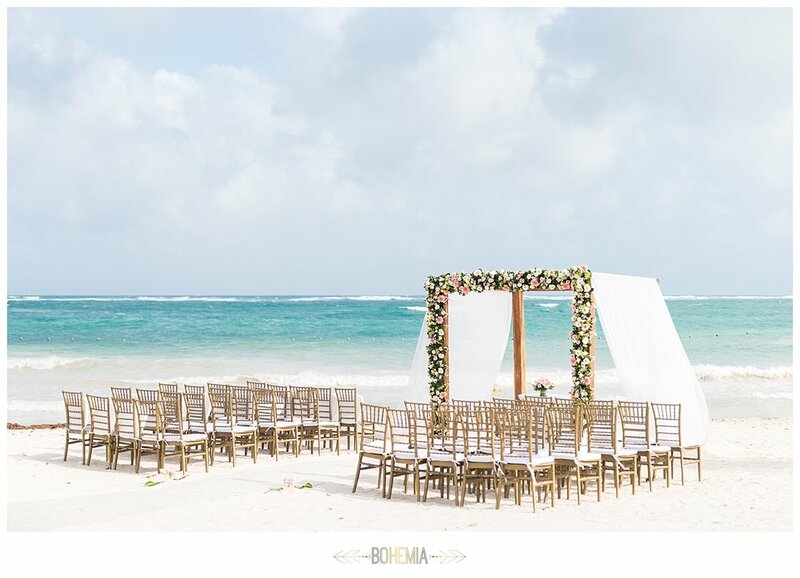 The resort has fabulous and colorful Mexican Caribbean elements, and a rugged untouched beach right next door that looks like it's right out of daydream (my daydream anyway). 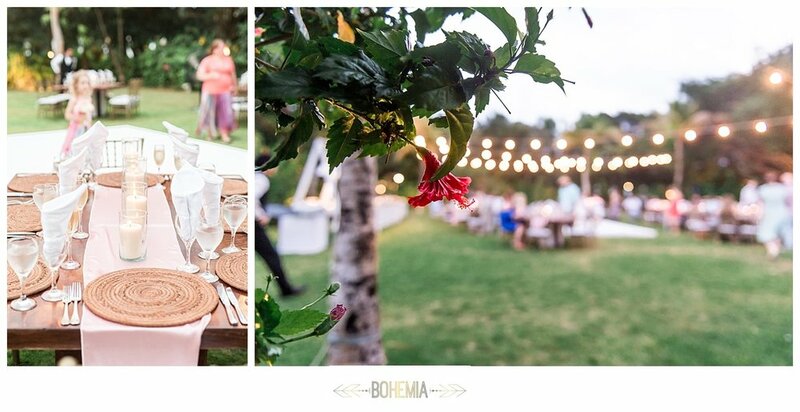 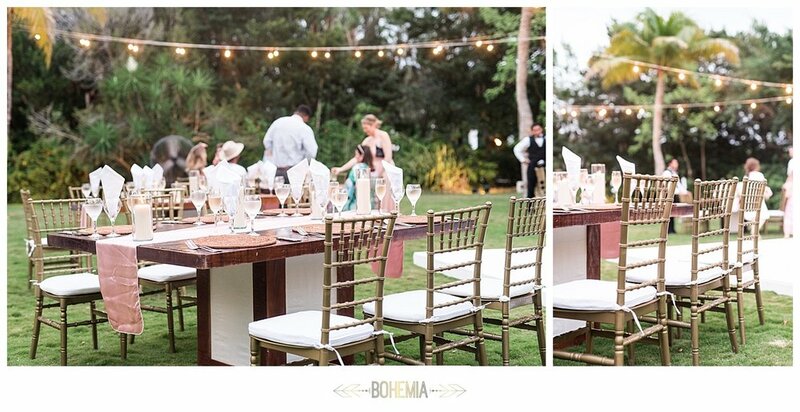 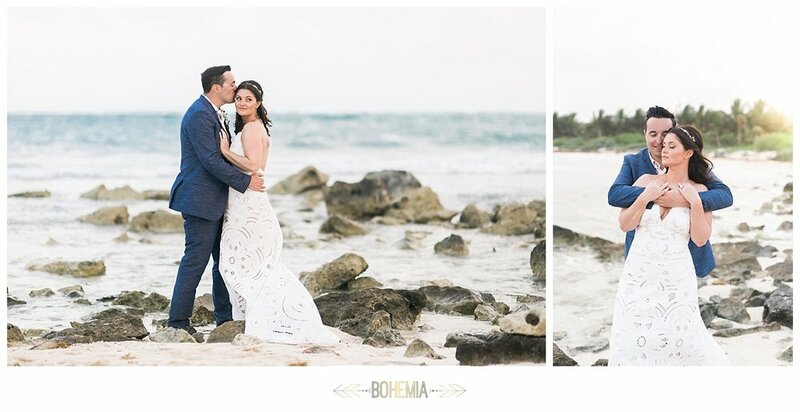 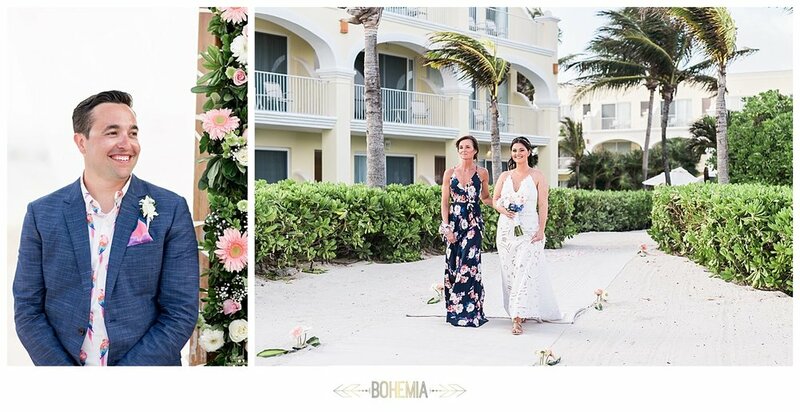 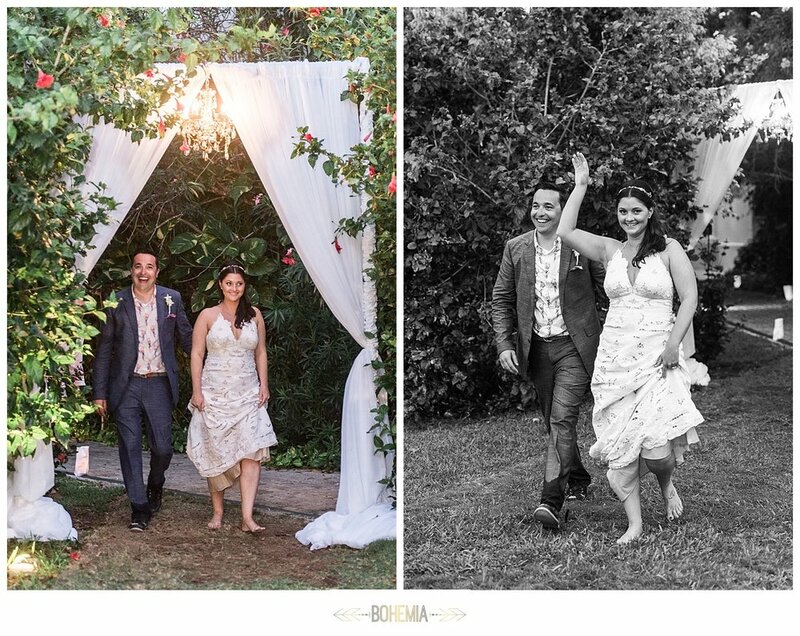 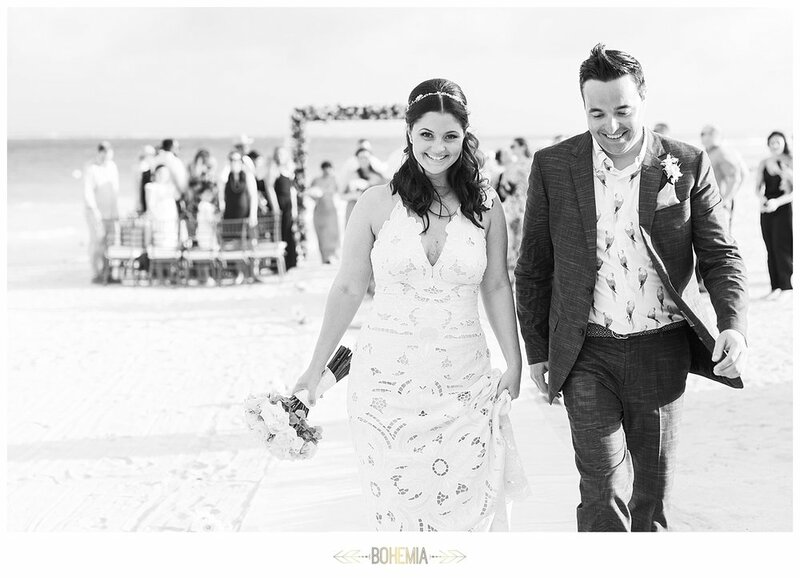 Amanda wore a beautiful gown by Rue De Seine with intricate designs that had Bohemian style and perfect for a Tulum wedding. 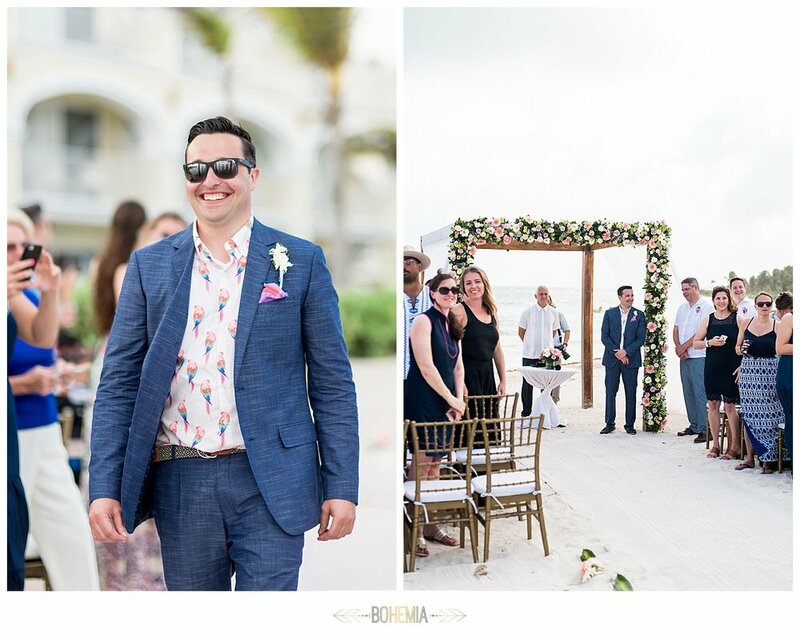 Chris wore a really fun parrot shirt and blue suit by Bonobos menswear.